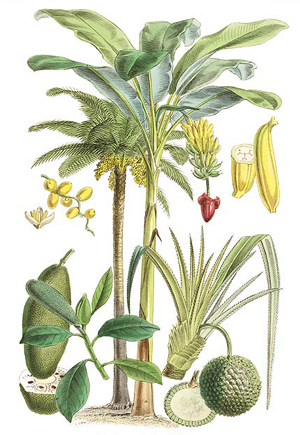 Anna Lewington , plants for people , author, kew gardens , antonio's rainforest , rough science, ethnobotanist and author researching writing uses people make of plants. postgraduate research importance of manioc (Manihot esculenta) to the Matsigenka Indians Peruvian Amazon and my study of Amerindian languages and culture at St Andrews University. author of two editions of ‘Plants For People’ comprehensive study of the ways in which products from plants support our daily lives - first written invitation of the Royal Botanic Gardens Kew published in 1990 Plants For People explains how plants support our lives in practical ways and. The first edition of Plants For People was written at the invitation of the Royal Botanic Gardens, Kew and published in association with the Natural History Museum in 1990. Valued as a teaching resource students of ethnobotany described by Tim Smit as ‘a complete inspiration to the Eden Project’, revised and up-dated for publication by Transworld/ Eden Project books 2003. Kew’s Centre For Economic Botany, written six educational books about rainforests and their peoples for children including the ‘Wayland Atlas of Rainforests’ and ‘Antonio’s Rainforest’, describes the lives of rubber tappers remote Brazilian Amazon and co-authored two editions of ‘Ancient Trees – Trees that live for 1,000 years’, a celebration world’s longest-lived tree species. published by Anova Books in 2012. written many reports and articles diverse uses of plants for a range of magazines and other publications. In 2000 I appeared as ethnobotanist BBC2 TV series ‘Rough Science’ presented by Kate Humble. consultant on plant use and Latin American indigenous issues advised or collaborated with major environmental organizations including WWF, the Royal Botanic Gardens, Kew, Oxford University Botanic Garden, the Eden Project, the Woodland Trust and the Chelsea Physic Garden, Jose Lutzenberger Brazil and Chile I’ve had the privilege of assessing environmental projects for funding, and in Peru, I was the Administrator of The Cusichaca Project - an archaeological excavation , 2006 I founded ‘RushWorks’ community project involving local schools, revive the craft of rush cutting rushwork traditionally practised along the River Stour in north Dorset. useful plants and traditional skills. In 2008 I was delighted to be interviewed for the position of Deputy Private Secretary to HRH Prince Charles, with responsibility for advising him on the environment, climate change, rural affairs, farming and responsible business.